If you have been diagnosed with breast cancer, good nutrition can be important to your well-being during and after treatment. Eating a healthy diet may help you stay strong and manage side effects after surgery or while receiving chemotherapy. A healthy diet full of nutrients may strengthen your immune system, boost your energy or help you maintain your body weight. But treatment can also affect your eating habits. You do not know how your body will react to treatment and every person is different. Sometimes, women are able to maintain a fairly regular appetite but it is common for chemotherapy or targeted therapy to affect the way you eat. Certain foods might be hard to eat while at other times you may have trouble eating anything at all. Chemotherapy can reduce your appetite or it can make you feel sick to your stomach. It can also cause mouth sores, constipation or diarrhea and some foods may not taste like they used to. Whether you are having difficulties eating during treatment or want to maintain a healthy diet, it is important to speak with your healthcare team or a registered dietician experienced with nutrition and cancer. Eating well after your treatment ends can be important for improving your quality of life and can help you overcome lingering sides effects, like fatigue. If you’ve lost or gained weight, eating well and exercising can also help get you to a healthy weight. Many people wonder if nutrition can affect breast cancer recurrence. Research is still being done to see how certain foods affect the risk of your breast cancer returning. Some studies suggest that a low-fat diet can help reduce your risk of a breast cancer recurrence, although this question is still not conclusively settled. Ultimately, it is important to maintain a healthy body weight, as measured by the Body Mass Index. A balanced, nutrient rich diet and exercise may help you achieve better overall health. Before you make any changes to your diet, speak to your doctor or a registered dietician. 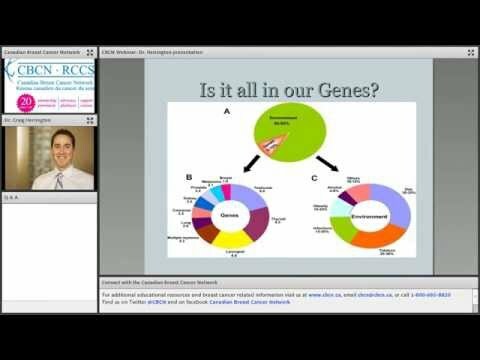 Watch our webinar with Dr. Craig Herrington from the Ottawa Integrative Cancer Centre on breast cancer and nutrition.